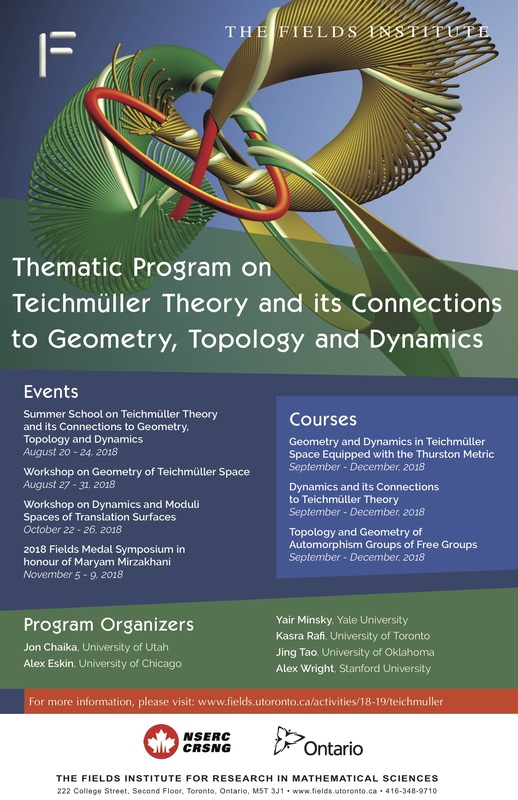 This program will focus on the breadth of Teichmüller theory, from its historical roots to its many branches and interconnections with established and developing areas of mathematics. The introductory school will sample this breadth. Specific streams and their particular connections will be highlighted in a series of workshops. Throughout the program, the different communities will interact, with care taken to provide support and mentoring for early-career mathematicians, opportunities for research at all levels, and outreach to the broader mathematical community.